The new motorsport season is about to start! Syntix Innovative Lubricants looks back with pride on the previous motorsport season where dozens of national and international motorsport teams embraced our quality lubricants. In particular the SYNTIX MAX 10W60 engine oil on PAO base and with the advanced MoS2 additive booked spectacular results. The MoS2 additive, also known as Molybdenum Disulfide, is an inorganic material known for its low friction and extreme strength capabilities. It creates a lubricating film that protects all essential parts even under the most demanding circumstances. A clear example of its excellent protecting capabilities was shown by JR Motorsport this year. 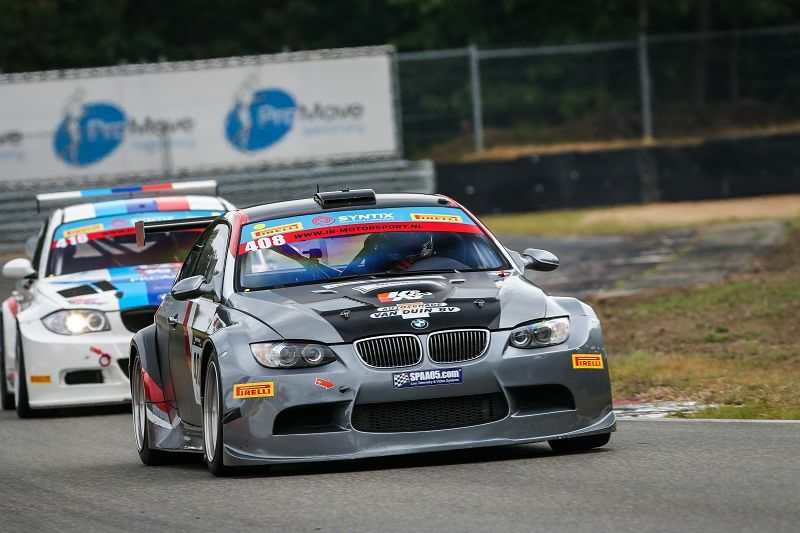 During a high endurance race on the Belgian race track Zolder, the oil-pump on one of their BMW racecars malfunctioned. The car still ran on high revs for over a minute before the problem was detected. With a lesser quality oil, this would have resulted in a complete engine waste, but thanks to the high-end Syntix oil and its MoS2 additive, the engine was saved and damage remained minimal. Embrace that quality too this season! Only the best will do!